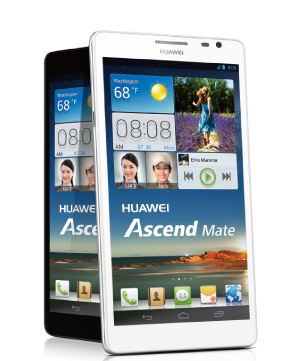 You can now own this huge screen smarthphone from Huawei, for only 999 pesos a month you can take home Huawei Ascend Mate from Globe Pospad plan. A 6.1 inches screen size running on a quad processor and Jellybean OS are best features you can get with this Android phone. Not just that, it also sports an IPS LCD capacitive touch screen protected with Corning Gorilla Glass against scractches. Watching your favorite videos or movies on this handset, brwosing over the web, gaming and design takes you to another level of mobile experience. Another plus on Huawei Ascend Mate is its battery power, though its non removable but it carry a 4050mAh that could last 200 or more hours on standby mode.Its camera features gives you a 8 megapixels on the rear side and 1 megapixels on front 720p at 30fps quality. Huawei Ascend Mate also lets you enjoy 3G/HSDPA network connectivity that could reach up to 42Mbps on download and 7.2 on upload. So much with Ascend Mate, let’s now take a look on what Globe Postpaid gives us in terms of plan price. Network services may include unlimited browsing and other networks services depending on the bundles you want monthly. When you order or avail Huawei Ascend Mate via via postpaid or prepaid, you'll get a Carly Rae Jepsen concerts tickets for free. Also with Huawei Ascend P6, you'll get the same freebies if you avail that plan on Globe or you'll get it via prepaid.